Send2Press › Wire › General Editorial › Beauty and Spa › Extreme Makeover Meets Biggest Loser In Southlake Texas! "Our aspiration is to help our clients enhance their inner and outer beauty through our wellness initiatives. Natural hormone restoration and balance, and nutrition for the skin, body, and soul are our primary focus. We are extremely excited to offer this total health and beauty makeover to one lucky winner. We believe it will give others hope that they too, can make a wellness transformation to prevent and reverse chronic illnesses and age more gracefully and healthy," states Terri Suresh, Owner and Founder of Hormonal Health, Wellness & Aesthetic Centers. 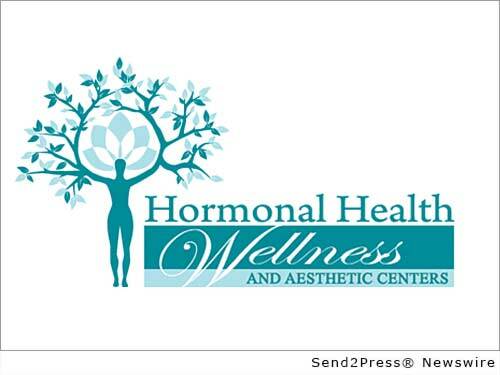 SOUTHLAKE, Texas, May 12, 2014 (SEND2PRESS NEWSWIRE) — Hormonal Health, Wellness & Aesthetic Centers will transform the life of one lucky winner in an unprecedented six month total health and beauty makeover challenge beginning first week of June 2014. The winner will receive comprehensive treatments & services from their Practitioners & Aestheticians worth $30,000 for a six-month period. Hormonal Health, Wellness & Aesthetic Centers has also partnered with other local businesses such as 180 Wellness, Impact Performance, Rockin’ Haute, and Briana Dai Artistry to enhance the total makeover. They are currently accepting entries from the applicants until May 27, 2014. The lucky winner will be announced on May 30, 2014. “Our aspiration is to help our clients enhance their inner and outer beauty through our wellness initiatives. Natural hormone restoration and balance, and nutrition for the skin, body, and soul are our primary focus. We are extremely excited to offer this total health and beauty makeover to one lucky winner. We believe it will give others hope that they too, can make a wellness transformation to prevent and reverse chronic illnesses and age more gracefully and healthy,” states Terri Suresh, Owner and Founder of Hormonal Health, Wellness & Aesthetic Centers. * Before applying for the contest, read all the rules & entry information, and complete the below mentioned steps by May 27, 2014. * Click here to take survey: https://www.surveymonkey.com/s/5PKJVPV. * Submit a full body picture at rsvp@hormonalhealthandwellness.com . What treatments and services the winner would be entitled to? * A revitalization of your existing wardrobe with a Rockin’ Haute Closet Consult ($250 value) and a $500 Rockin’ Haute personalized shopping experience to finalize this amazing experience! To enter, visit the http://www.totalhealthandbeautymakeover.com/ page, complete the survey and send full body picture. Founded by Terri Suresh, Hormonal Health Wellness & Aesthetic Center is the leading full service facility that implements holistic approach to healthcare and wellness. Their aspiration is to help clients enhance their inner and outer beauty through wellness initiatives. For more information, simply visit: http://www.hormonalhealthandwellness.com/.